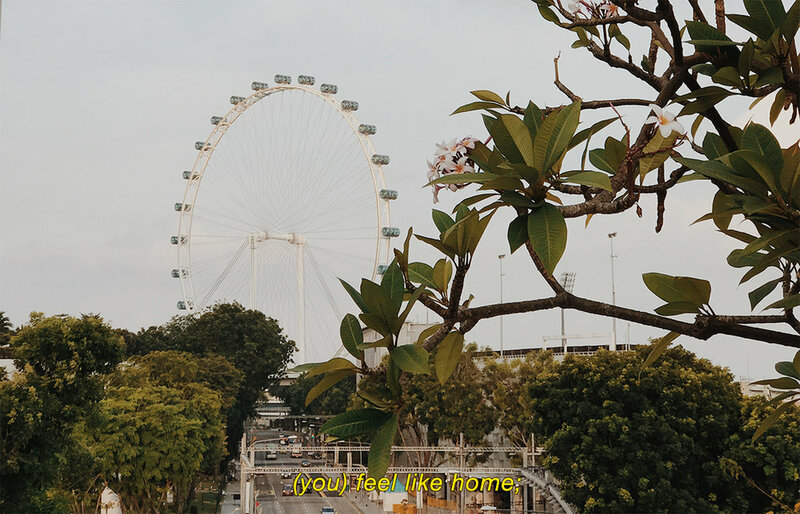 Postcards from the Road: Series 004 Singapore — Blake Erik. With my photography, I never expected things to blow up the way that it has, but the one thing I didn't see coming was that I had loads of requests at my pop up booths for cards from Singapore. Truth is, I never considered it because I feel more moved and more inspired when I'm overseas, and that fires my creative work. But there's nothing I love more than a challenge, so I left all excuses at the door, picked up my camera, and went around streets I've walked all my life. I didn't have a specific agenda of what I wanted to shoot, and just left it to how I felt on the day and what would move me. Shop Series 004 at the shop now! I love the lanterns that hang over the streets of Chinatown. Whenever I'm in the area, I always take a picture of the lanterns for my Instagram stories. But for some reason, on this day, the light just wasn't hitting the lanterns the same way, and the shots I got were all lacking. So I walked around every adjacent street, taking the lanterns at many different angles, and I finally got one I was happy with, and with the building in the background, I actually think it turned out a little better than I thought it would. Another thing I discovered is that, if you've noticed, in all the photographs I put to print in all these other countries I've been lucky enough to visit, there aren't many (if there are any, at all) people in the photographs. It was always me drawing focus to the beautiful buildings and architecture, the wide and open countryside and rolling hills, the water glistening in the sun etc. Singapore doesn't really have all those beautiful natural views, but one thing that I was drawn to was that I liked being in the thick of the crowds, rubbing shoulders with strangers on cramped streets under the tropical sun. There's this intrinsic energy of being plugged in, in this case sharing the street with restaurants offering Middle Eastern fare, vendors hawking wares at kitschy tourist souvenir shops, about a billion tourists with their phones and cameras out, palm trees lining both sides of the walking promenade, all in the shadow of a place of worship as majestic as the Masjid Sultan. Over the Easter weekend this year, my family wanted to do some hiking, so we started out with Hort Park, and eventually ended up at Mount Faber. By the time we got there, the sun had started to set. It was a clear, hot day, as it is 80% of the time in the tropics, and so the skies were relatively clear for the colours of the sunset to paint the sky, and there were these cable cars just travelling up and down the ropes. When I got pictures with just one car, it just didn't feel as complete as when I got a picture with two cars passing each other by; one on the way up and the other on the way down. In all honesty, I'm a city boy through and through. I could never live on a farm, in a small town, in a sleepy fishing village etc., and certainly not forever. I love big cities; the views from glass skyscrapers, where there's always an event happening, atmospheric restaurants and bars, cramped sidewalks and metros, and yes even small city apartments. And I'm a sucker for skylines. I took one in Tokyo from the Metropolitan Government Building's Observatory Deck. I took one in Dubai from the Burj Khalifa, where I stood and waited for 5 hours just to watch the sun go down on the city in the desert. I made it a point to scale every church in every city I went to in Europe during my month long trip just for the views. Whenever I needed air or to clear my head when I lived in Barcelona, I would go up the hills just to watch the city from above. I love vantage points and I love just looking at cities. But I've always found it hard to capture the Singapore skyline. Not because there aren't many photo opportunities dotted along the Marina, but because living here all my life, I've grown too used to these photos. Every tourist has them, every street photographer has them, it just doesn't move me anymore because of how ubiquitous they are and the sheer number of times I've seen them. But on our hike down from Mount Faber, I saw this along the route, and I had to snap a photo of it. It was the way the moon hung above the buildings nestled among the clouds, the way it'd started to get dark so the buildings were lighting up, but it wasn't too dark to not be able to see anything but a blur of lights, and I got my skyline shot, and I'm pretty happy with mine. I remember how much hype there was when the Flyer had just opened, being able to boast about being the World's Tallest Ferris Wheel, which has now been snatched by the High Roller in Las Vegas, Nevada, USA. Truth is, I've been on it only once, at dusk when the city was lighting up. It was a pretty cool experience, and there’s something to be said about watching the city skyline as densely packed with skyscrapers as Marina Bay in Singapore light up on a clear night. I took this precise view of the Flyer from the Esplanade Rooftop.